Is Blackberry About To Die? Again? It wasn’t long ago that Blackberry as a company was on their deathbed. 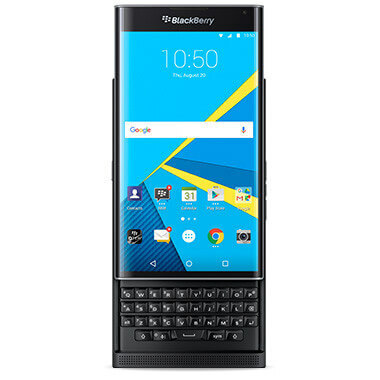 Blackberry 10 was dying a death and the company switched gears to Android, making the secure and eagerly anticipated Blackberry Priv. The device got reasonable but not glowing reviews and the price tag of $700 was laughable at best. Still, the Priv did okay at first and both AT&T and T-Mobile picked up the device. Now, nearly a year later, T-Mobile has dropped the Priv from their site and AT&T admits that the device is struggling with them. There are a lot of things that led to the situation Blackberry find themselves in at this point. The question is, will we be on death watch once again for a company that just a handful of years ago ruled the enterprise mobile device market? device was reasonable but sub-par from what you would expect from a device in this price range. Users complained of a range of things from a flimsy plastic back to light bleed on the screen. Those things happen, even on premium devices, but the ratio seemed to be higher than normal for the Priv. Second was the main selling point of the Priv: The physical keyboard. I know two Priv owners and neither of them actually use the physical keyboard. Both admit that they bought the device for that physical keyboard but after just a few short weeks, they opted for the soft keyboard and haven’t looked back. They found it difficult to type on and slower than a screen-based keyboard. If the main selling point of the phone is not attracting users, that spells trouble too. I appreciate that two data points but it does make a point. Third, Blackberry positioned the Priv as being secure from an apps perspective and an OS perspective. Generally speaking, Blackberry did a good job of keeping the Priv up to date with timely security patches and app updates. But the biggest problem was that the company was doing all of this on Lollipop. It wasn’t until just last month that they released Marshmallow for the device, a much more secure and maintained OS version from Google. How can you go to market advertising a secure phone when you are not using the most secure version of the Operating System? You can’t… well you can but you are not going to sell many of them because the buyer of the Priv is more-than-likely savvy and knows it is an OS release behind. Finally, there is the price. The Priv started out at nearly $700 in a day when even the most flagship of flagship devices top out in the mid-600’s. That gets you a fully loaded Galaxy S7 or Nexus 6P. Blackberry wanted to position this as a premium device with premium features that was worthy of the price tag. And in some way you could see their argument. But that price is going to scare away a lot of people who may have been sorta-kinda interested in it, especially in light of the fact that the company had been on life support for months. Would you want to buy a $700 device from a company that may not be there in a year? Neither did a lot of other people. You add all of these things up and you end up with a device that had a lot of unrealized potential because of a few fundamental errors Blackberry made on it. That has led to fewer sales which brings us to where we sit today: A device that is struggling with one major carrier and has been pulled by another one. I want Blackberry to survive and I want the successor to the Priv (if there is one) to be successful too. I do believe they have a place in the market as a manufacture and if they learn from their mistakes from their first Android device, they can gain back the loyalty of a least some of their users. The question is do they have the time and fortitude to come out with a second, better device? Or are we on death watch? Again?